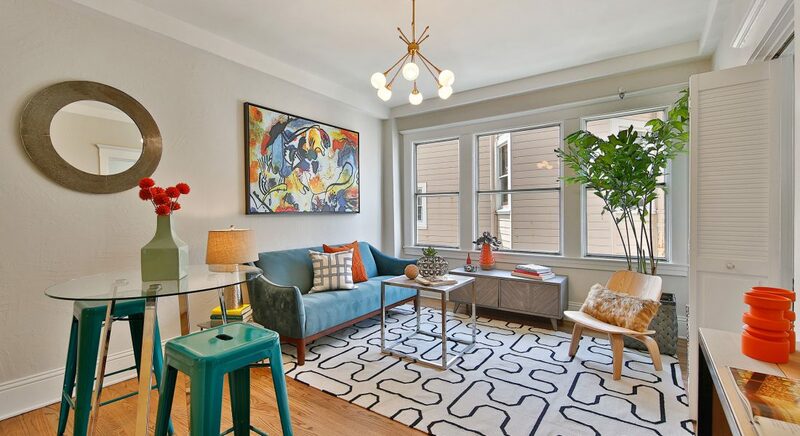 Located at the convergence of three of San Francisco’s most desirable neighborhoods – Cow Hollow, Pacific Heights and Russian Hill, this one-bedroom condominium is perfect for a first-time residence or a pied-a-terre. Located in the rear of the building, this spacious unit features a remodeled kitchen with breakfast bar, granite counters, maple cabinets and stainless appliances opening to a sunny living room with peak-a-boo views of the bay. A bedroom with large custom closet, plus a remodeled bath with shower over tub complete the unit. Other amenities include beautiful hardwood floors, extra deeded storage, plus common laundry. Walk to Cow Hollow, North Polk, Fillmore and the Marina district restaurants, cafes, night life, shopping, and public transportation. 2415 Van Ness # 305 is a place to call home.